Keep thinking I need a G19 again. 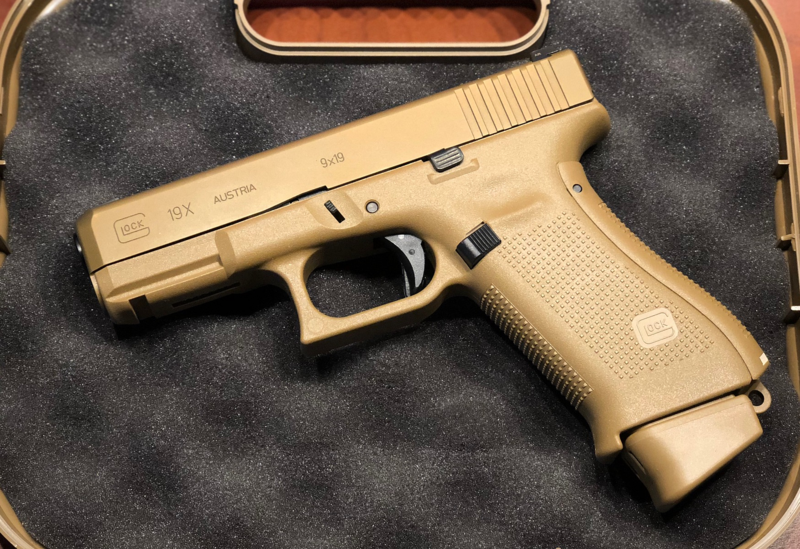 The Gen 5 does look nice. They are nice, I just can’t justify it with 2x gen 3 g19s, a gen3 rtf2, a gen4 and a 19x. 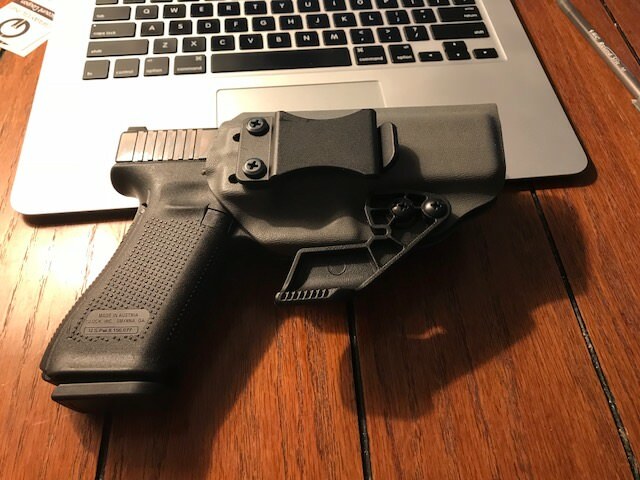 I had a G19 Gen 3 RTF2. Should have kept that. But the Gen 5 looks like a nice replacement. Shot the G43 with the wife the other day. Using 147 FMJ standard pressure, it was a little blasty with some flip, but not any worse than my G27. Put on a Hogue slip on grip, and that little pistol feels very nice now. She better keep her eyes on it. The G26 without the finger grove........... DAYUM SON! That made a world of difference in how secure it feels in my hand. I really need a pinky extension when I shoot the Gen 4 but I get a better grip with only two fingers on the Gen 5. It's be my next purchase. I’m considering picking up a gen4 Glock 21. I keep trying to talk myself out of it. I have a gen 3 G-21 as my duty gun. I love that thing! One of the softer shooting .45's out there. This place costs me so much money, I just ordered a new gen4 Glock 21. $499 plus $7.99 shipping. Cheapest I found around here was $530 plus tax so a pretty good deal. I'm in the hole about $2000. And that's just this thread alone! My wife is is looking at a G-42 or G-43... Of course, I can't get just one for her. So has anyone here played with Polymer80 kit? Handled the G43 and the P938. ... it's only a matter of ... time. Years ago I wrote a poem in this thread, I can't find it now. Anyway I am carrying a G23 daily and sometimes my G43. Yes. Yes I will buy a Glock. You said the 19X is awesome. You said the 19X feels great in the hand. You said the 19X trigger is superior. You said the 19X looks SO much better than in the pictures. I said, "I will buy one when the come in black". BUT, I went to the gun show today not intending to buy ANYTHING. I saw one, it looked great. I held one, it felt great, a full grip with no finger grooves. I said I disliked the Gen 4 grip texture, don't even notice that with the 19X. Told myself if I could find one for $600 TT&L out the door, I'd buy one. Prices ranged from $555 to $750. Paid $601 w/tax with a check that has been in my wallet for 2 years. Paying by check kept me the cash price. Here it is, I love it. Bought an extra short mag for it as well. With the M tailless back strap it fits my hand perfectly. I'll probably pull the lanyard ring. Yes I bought another Glock..
Yup, the 19X does feel pretty sweet in hand. We have two in the shop right now and it's been tough sledding trying to keep my 'no-buy' streak going. Bought and built a G17 and G19 Polymer 80. 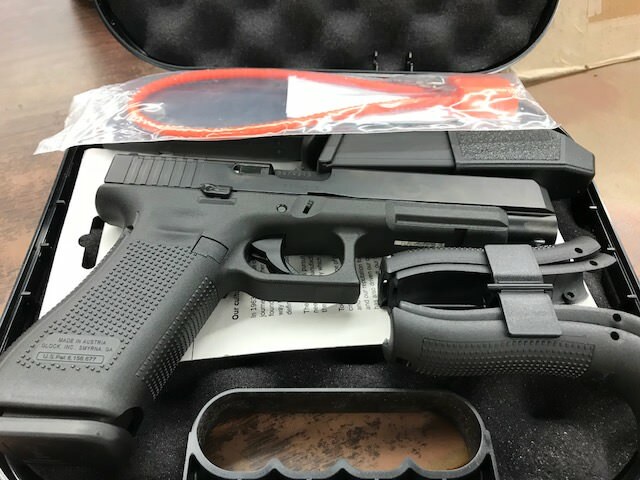 Just added a Gen 4 19 with factory titanium slide to the stable. Going to run it in a class in 2 weeks. Let the dry firing begin. My gen5 19 is the best striker pistol (and best Glock) I’ve owned. I plan to get a gen5 17 at some point. I never warmed to the compact gen3/4s due to the finger grooves which seem to fit smaller hands. All I have to say is Thank God they haven't done a 19X MOS. Not even Baby Poo Brown could keep me from buying one. I'm not a fan, but the 19 falls right at JUST too small for my hands. I have to use XGrip extensions, and I really want to try it for my Timberwolf frame to see if they'll work. I have a modified 17 with the cutout and it doesn't bother me at all. 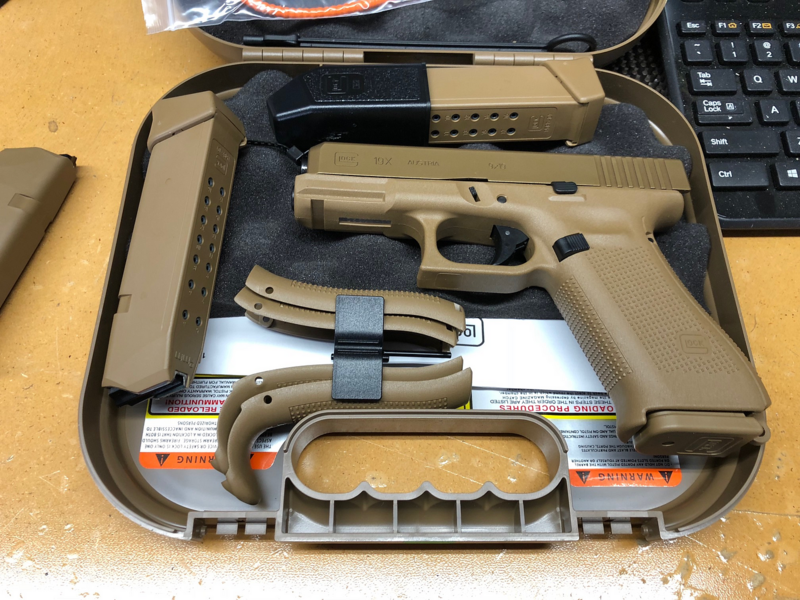 Because the G19 is tight for my hands, I carry a G17 Gen 4 and I just picked up a G19X because the balance is great and it has the extended frontstrap and NO cutout. 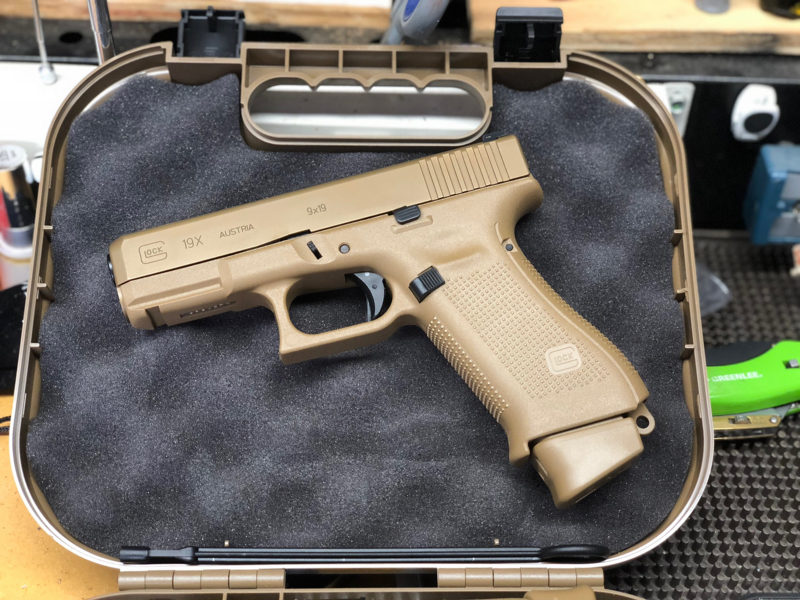 I'll take another look at the Gen 5 - and the cutout - when the G20 and G21 are released, or even a G17. The Gen 5 features of no finger grooves, better trigger, and slide nose relief are enticing.